It’s beginning to feel a lot like NCECA time! I’m hope everyone is getting excited for the journey to Providence! 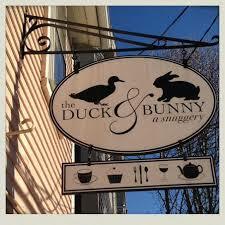 There’s a list of my top five favorite places in Providence to enjoy brunch, lunch and dinner! The easiest directions are to drive up Waterman St, and keep going until you hit the water. Eventually there’s a circle — take the first exit and turn left into the parking lot. Waterman Grille, is usually packed every day all day. Make sure to call for reservations at least a day in advance. I can always appreciate their cheese plate ($16 enought to share with 2-3 people), squash bisque with truffle creme, and a S’MORES dessert. All meals are made to order, and with the freshest ingredients. 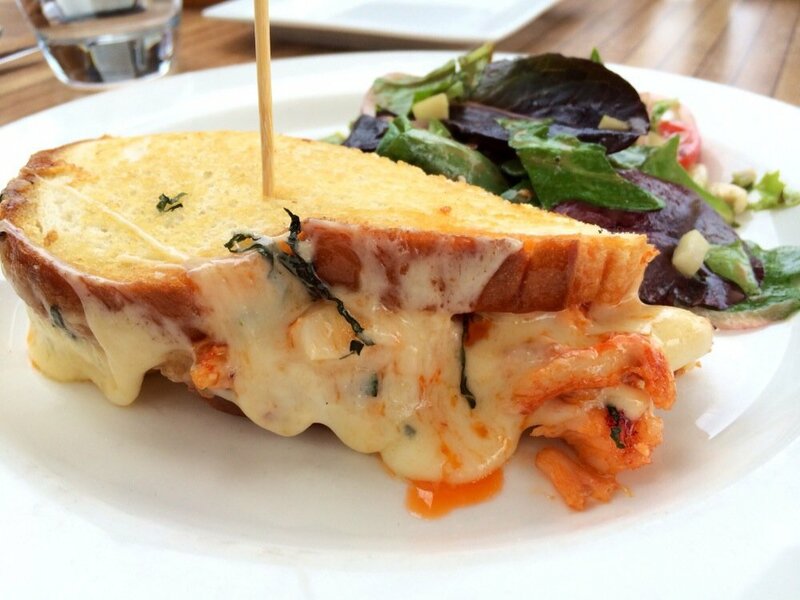 If you’re looking for a brunch spot on the weekend, they have an amazing lobster grilled cheese ($20). 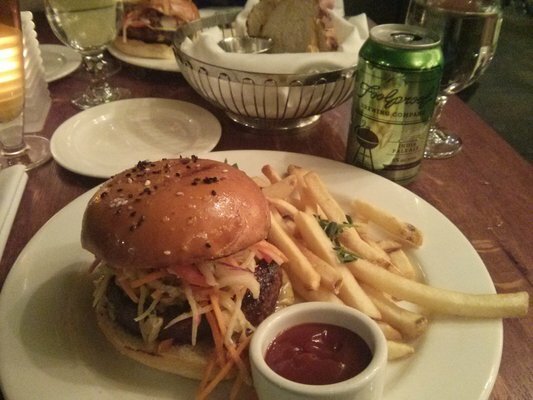 On Thursday nights, Waterman Grille has a special for $10: a burger, fries and a Foolproof beer. If you have a RISD or Brown ID Card, they offer 20% your bill. Great for large groups or small dinners. Fantastic view of the bridge at sunset. The Red Fez is about a 10-15 walk from the Convention Center and about two blocks from the Hampton Inn off Peck St. 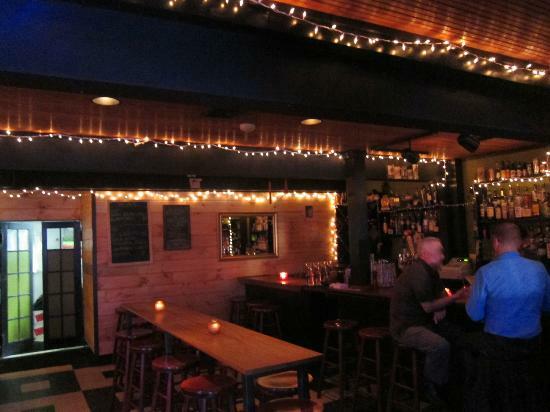 This tiny little bar and restaurant is known for their local beers, and fun healthy pub options. Some of my favorites include Kale Caesar Salad, Brussel Sprouts with Parmesan Cheese, and Poutine Fries. Price-wise, this place is quite affordable, and they serve large portions so just a few things to share for a group of 2-4 people is easy. They also have a vast variety of beers and great wine. It’s a bit small, so I wouldn’t go their with a party of 8 or more people unless you don’t mind feeling cramped. Sushi Yami, is tiny, delicious and very fresh. 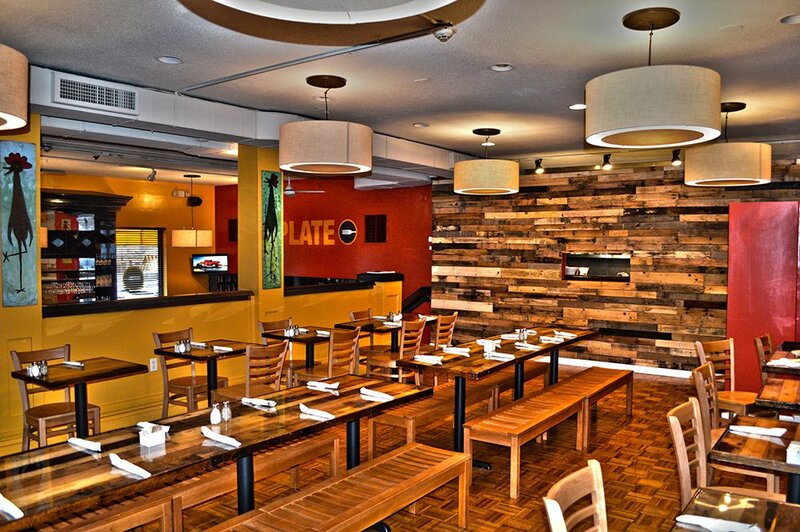 It’s not your ordinary sushi bar, and has an eclectic menu from asparagus salmon sushi to ramen to mushroom stir fry. Making reservations is a good idea, and this is great for those small dinner dates with friends. They only have about twenty seats in the whole place. If you can afford a twenty minute wait, it’s worth it. Quaint little tea house, with crepes, salads, cheese plates, sandwiches & high tea! Great for small groups. It’s one of my favorite places to eat on the weekends, but you will need to make reservations, as it usually gets packed quickly. But if you are looking to try dinner on Tuesday-Thursday, no reservations needed. Parking can be difficult, and if there’s a wait you could try Coffee Exchange across the street. My favorite dishes are bacon-wrapped dates ($6), the Mazzy Star crepe ($10) – mushrooms, fontina cheese, truffle oil, Kale salad with pears, craisins and cider dressing ($12). Dessert-wise, you can never go wrong with a maxi chocolate peanut butter cupcake or red velvet. It’s a long walk, so grab a friend and take a short drive to the east side! Clean Plate is new to town. They have great sea food dishes, sandwiches, and salads. All of their ingredients are listed in the menu, no surprises. Dessert it worth it — they have a homemade peanut butter pie, with graham cracker crust, chocolate fudge and whipped peanut butter mousse, very rich and enough to share. It’s hidden, but there are signs on Main Street to direct you if you’re walking, and parking is located in the back. Great for large groups, and it is right on the water. My favorite dish is the clam fritters and garden salad. It’s about a 30-minute walk or 10-minute drive from the Convention Center.